uStore brings a new storefront experience which follows the latest trends: it is responsive and mobile friendly, visually appealing, neat and vivid. It places a stress on design, interactivity and user experience. 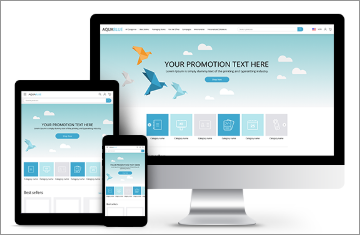 uStore comes with a new theme, AquaBlue, which is modern and well-designed and contains a new homepage, new header and footer areas, a new category page and an effective navigation design. 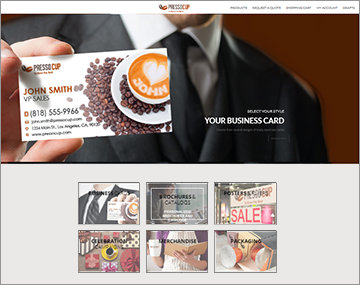 Customizing the look & feel of a uStore NG store to best fit your desired branding can be achieved within seconds using the WYSIWYG Theme Editor. 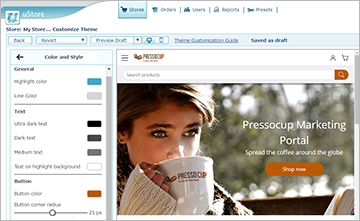 The Theme Editor provides simple control over design elements such as fonts, colors and images. You can preview the changes that you make and then publish to the online store. uStore NG introduces a new frontend technology which gives you the freedom to craft the shopping experience by enhancing it with new content and functionality. Using this technology you can obtain a store’s HTML and code files, and add to them new content, behavior, features and flows. 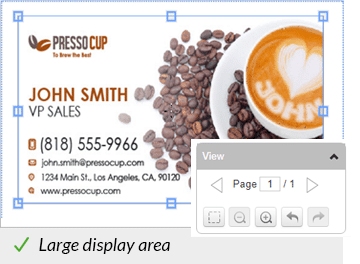 For example, you can add marketing content to the homepage, replace the banner with a slider or add a new FAQ page. 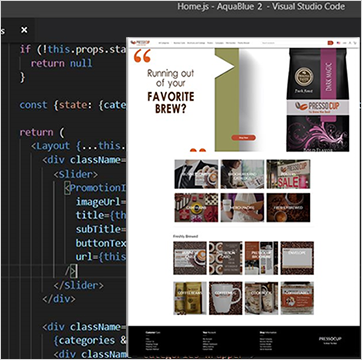 This technology is based on ReactJS, the industry-leading technology for web development. A coupon can be set to discount specific products in a store or an entire product group. uStore 9.4 now supports Microsoft SQL Server 2017. The operator can download all data about a shopper, upon request. The operator can delete all stored data related to a shopper (except for submitted orders). 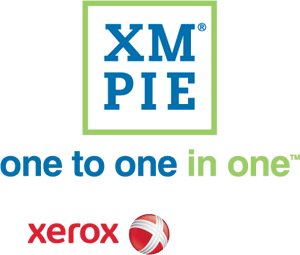 Download the update from uStore Presets > XMPie Services > Check for new updates. This feature is available with update #814 for version 9.2.
uEdit has a larger document display area which facilitates the user experience. 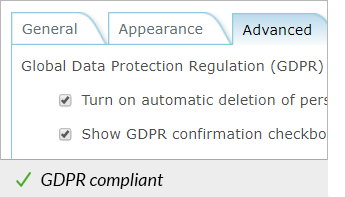 Shoppers have to approve that each uploaded recipient list is GDPR compliant. Recipient lists are deleted after 30 days. 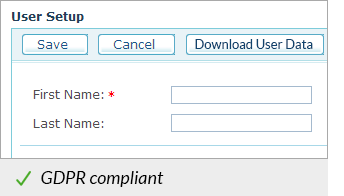 This feature is available with update #770 for version 9.0.2 and update #790 for version 9.1, and requires uProduce GDPR patch for PersonalEffect 9.2 / 9.1 / 9.0.2 / 8.2.3.